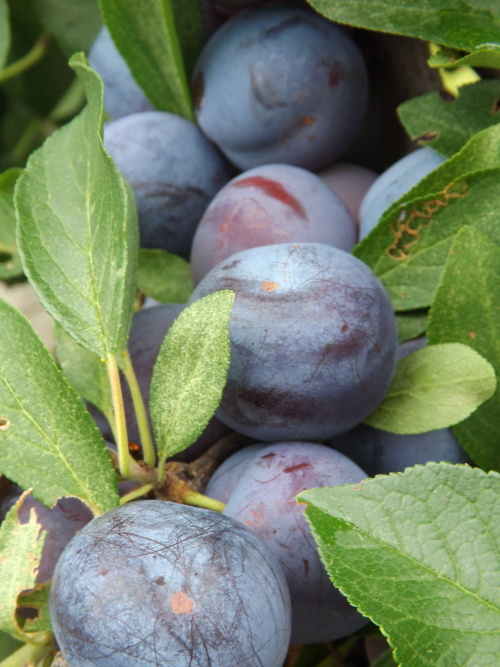 Beautiful picture of plums. Makes me want to go buy some, but I know they will be disappointing compared to home grown fruit. Glad you have been able to make good use of them! I’ve been canning sand pears. Never heard of sand pears. What have you been making with them? Are they like a typical pear or something exotic like a prickly pear? They are also known as Kieffer pears or Asian pears. They can be a bit gritty in texture, hence the name, but taste like a regular pear. They’re crunchy like an apple. I’ve been making pear butter and pear- pineapple preserves. I’m going to make a conserve with walnuts next! Sounds like you’ve been busy. The pear-pineapple preserves sound intriguing. We love anything with pineapple around here.